The Republic will be represented at the upcoming IAAF World Half Marathon 2012 which is to be held at Kavarna, Bulgaria this October 6th. Anne Qi Hui and Soh Rui Yong will be representing Singapore. They were chosen after posting excellent half marathon result at the recent SAFRA Bay Run & Army Half Marathon. 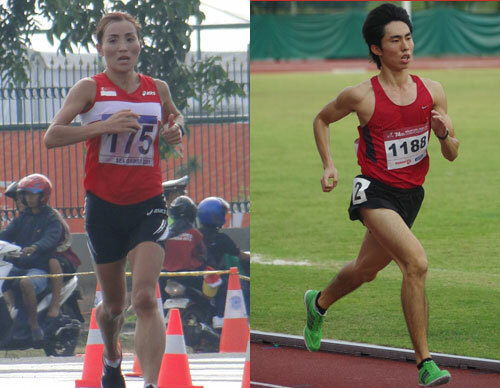 21-year-old Soh Rui Yong won the competition posting a timing of 1:12.25 in the Men’s Closed, while last year SEA Games debutant in the women marathon event, Anne won the Closed category with a time of 1:23:39. Last edition of the IAAF World Half Marathon was held back in 2010, the location Nanning, China where some 123 runners from 30 countries participated. Wilson Kipropfrom Kenya won the 2010 edition for the men’s category with a time of	1:00:07, while the women’s category saw Florence Kiplagat also from Kenya won it in a time of	1:08:24. The records for the competition as follow; Men’s race 59:35 Zersenay Tadese of Eritrea (2009) and Women’s race 1:06:36 Mary Jepkosgei Keitany of Kenya (2009).